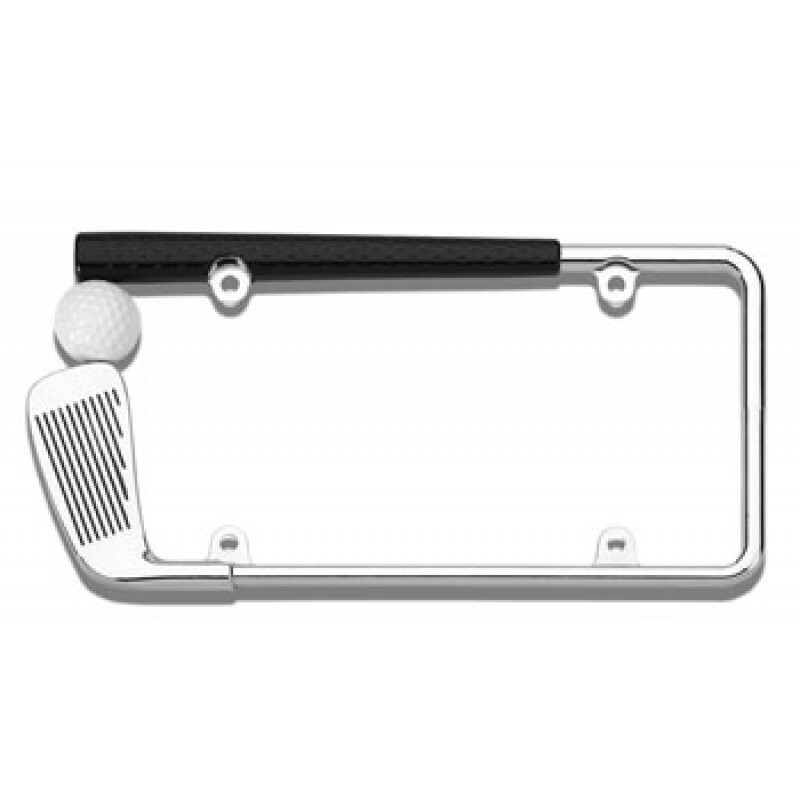 Explore our collection of golf license plate frames. These rugged license plate holders can be personalized to share your message. Create yours today! If you’d rather be on the greens than on your way to work, share it with the world with a golf license plate frame! Using our online tool you can easily personalize the text to create the perfect golfing frame! Promote your business, advertise a website, support your favorite sports team, display your alma mater, endorse a worthy cause, celebrate a special event, or just share something funny. The possibilities with custom text are endless! Custom lettering is made with vinyl decals. We recommend checking your local laws to ensure that the style of license plate frame you select is legal in your state. Some states have special laws that may limit what parts of the plate can be covered or obscured by a license plate frame.